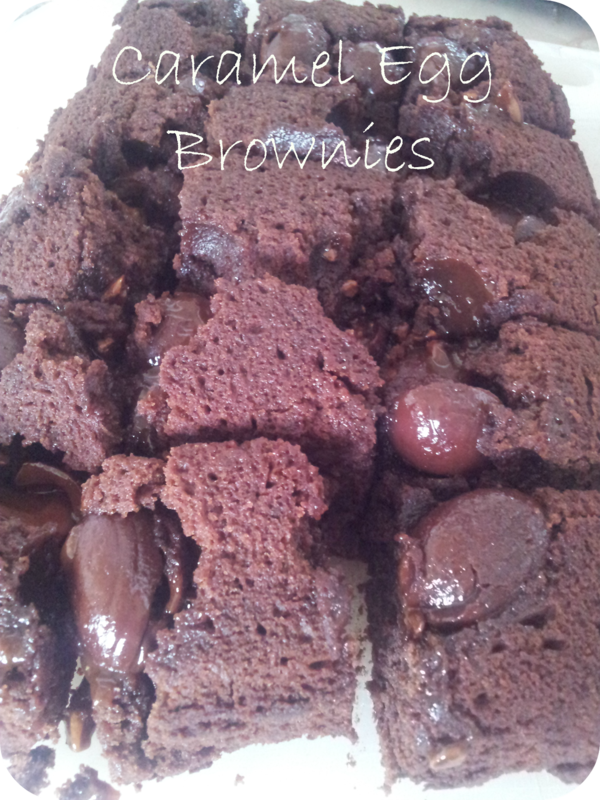 Following on from our caramel cookie cups, these are a nice twist on a classic chocolate brownie using Easter treats. Melt the dark chocolate and butter together in a pan on a low heat and set aside to cool slightly. 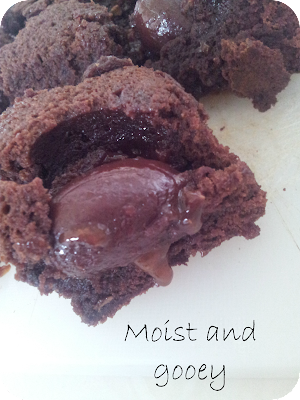 Add the cooled chocolate and butter mixture and fold in. Add in the caramel eggs and continue to fold the mixture until fully combined. Pour into a 12" by 9" greased dish and level out. Cook for 45 minutes and check with a skewer that the brownies are cooked throughout. These are delicious served warm with ice cream or as a lunchbox treat. These look fantastic and lovely the smily faces! I like the idea of using the caramel eggs. Mmmm, these sound so tasty, and I'm sure even I could make these, lol.